This part will fit most FJ Cruiser. Some universal fit products require that you select a specific size or style, based on the actual features on your vehicle. 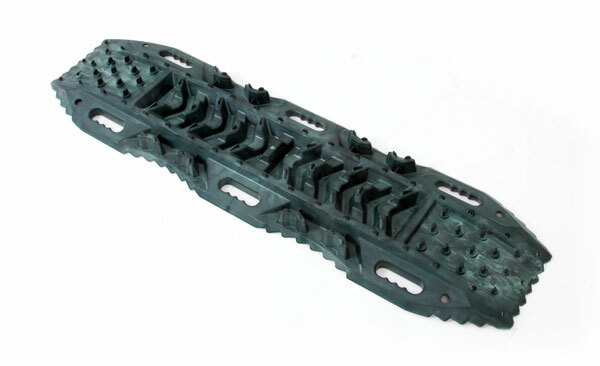 Manufactured of Nylon Reinforced Plastic & each ramp can support up to 7,700 lbs Sold in pairs & comes with a nylon storage bag Perfect for mud, snow, sand or any loose terrain you find yourself in Stackable design Each ramp supports up to 7,700 lbs. on flat surfaces. Carrying Handles. Comes w/ Smittybilt logo branded carrying bag. Manufactured out of 600 Denier Ballistic Nylon.